Spin them or even knit them unspun! Silk hankies, also referred to as Mawata, are silk cocoons that have been degummed, the pupae removed and the fiber stretched onto a square frame. These are processed by hand, one square at time. 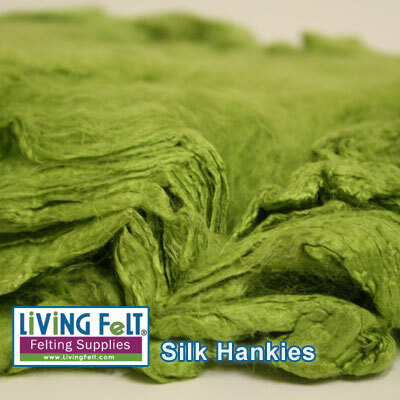 They are dyed silk hankies with a beautiful sheen!